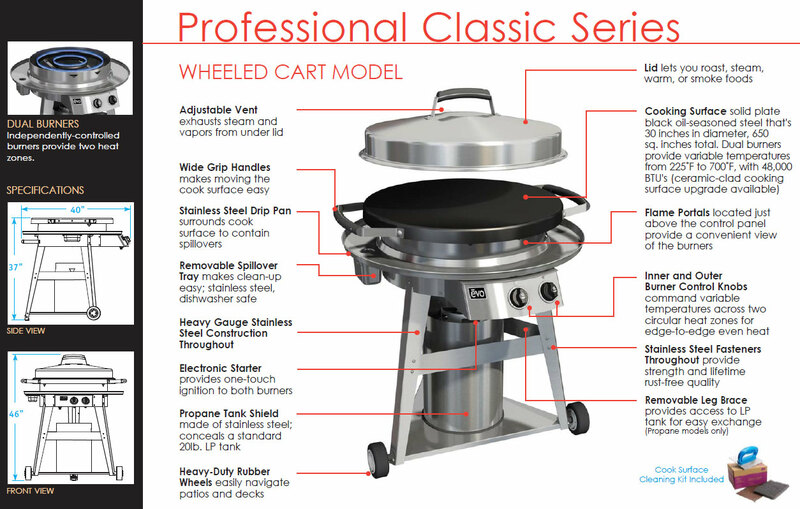 Use the Professional Classic to: sauté, braise, flattop (plancha) grilling, pan fry, roast, poach, steam, toast. The Professional Classic Tabletop has the same cooking characteristics as the Professional Classic Cart. 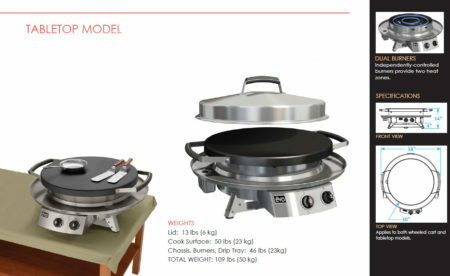 The Professional Tabletop’s special heat shield prevents heat from damaging surface below. The extra long gas hose allows easy placement of the gas tank. Its large cooking surface and portability make it perfect for outdoor social events for your family or friends at home, at the park, at a cabin retreat, or wherever you want to instantly start a party.